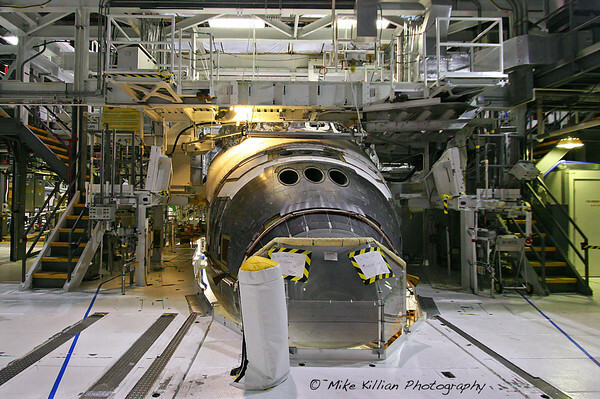 The transition and retirement processing of Space Shuttle Atlantis at Kennedy Space Center. Atlantis, designated by NASA as OV-104, or Orbiter Vehicle 104, was transported the short distance from Kennedy Space Center to the Kennedy Space Center Visitor Complex last November. In the time since the remaining construction of her $100 million exhibit has been completed, and her public grand opening is scheduled for Saturday morning June 29, 2013. All images © copyright 2012 / 2013 Mike Killian, all rights reserved.